NOTE: This content is old - Published: Thursday, Apr 19th, 2018. A photographic exhibition to promote a better understanding of Autism is being hosted at Theatr Clwyd in Mold. 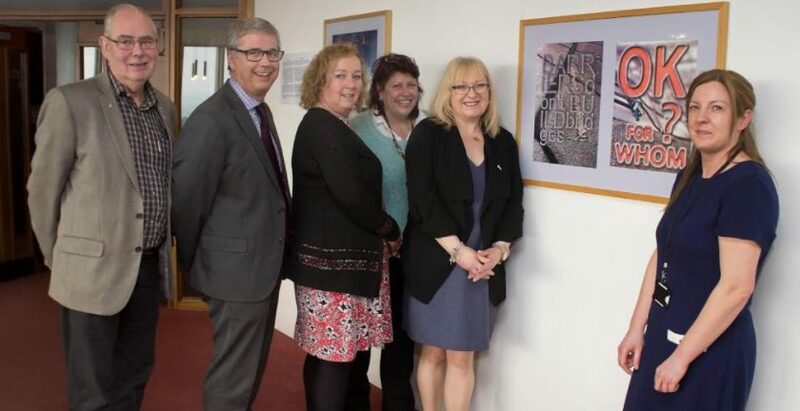 The exhibition is based on the inspirational photographic work of Ken Ashton, a local artist who has recently been diagnosed as having Autism, having previously found difficulties fitting in to community services. Ken is a key volunteer supporting the development of the North Wales Integrated Autism Service (IAS), a unique Welsh Government initiative to be launched in June 2018. “Flintshire County Council will be the ‘host’ local authority in North Wales for the IAS Team which will also cover Wrexham, Denbighshire, Conwy, Gwynedd and Anglesey. The IAS Team will provide support to people of all ages with Autism and their families and carers. Whilst the IAS will be accessible for all ages it will not replace any existing services already established, nor is it a crisis service. “Since last year I have been involved in helping to establish the IAS and I want to work with services to help make them more accessible for people with Autism like myself.